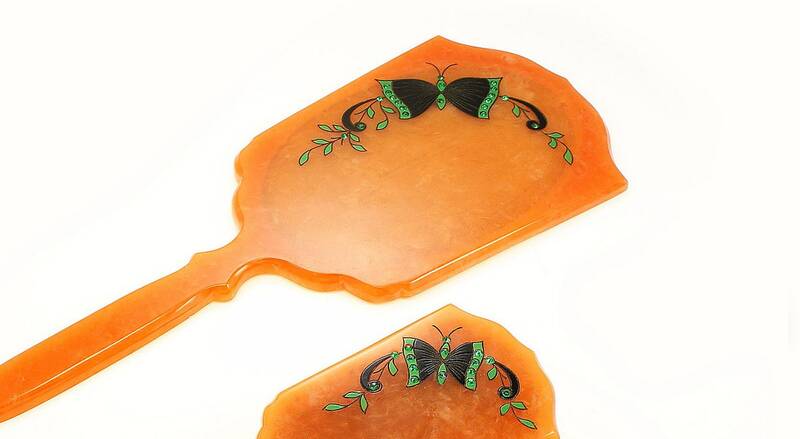 Rhinestone Butterfly Art Deco Celluloid Mirror and Two Brush Vintage Vanity Set. 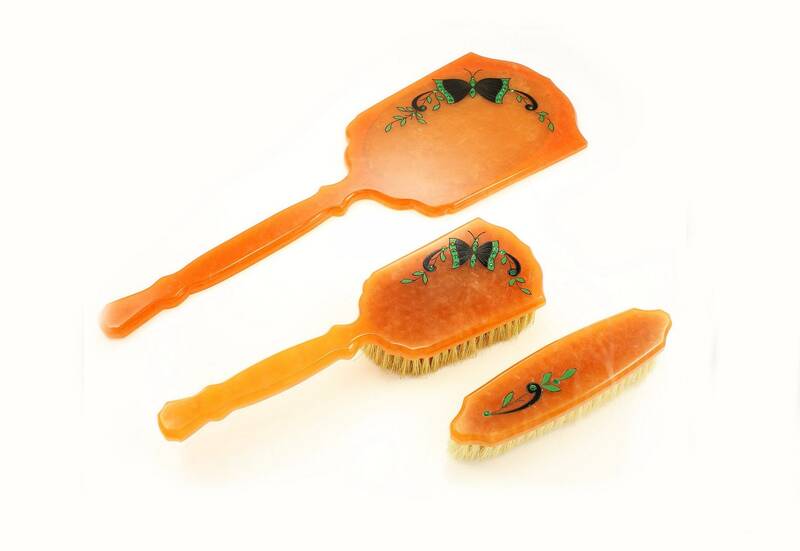 This pretty hand mirror and pair of brushes is made of butterscotch celluloid plastic and is hand decorated with butterflies in black and green paint and inset green rhinestones. The butterflies are enhanced with scrolls and leaves. 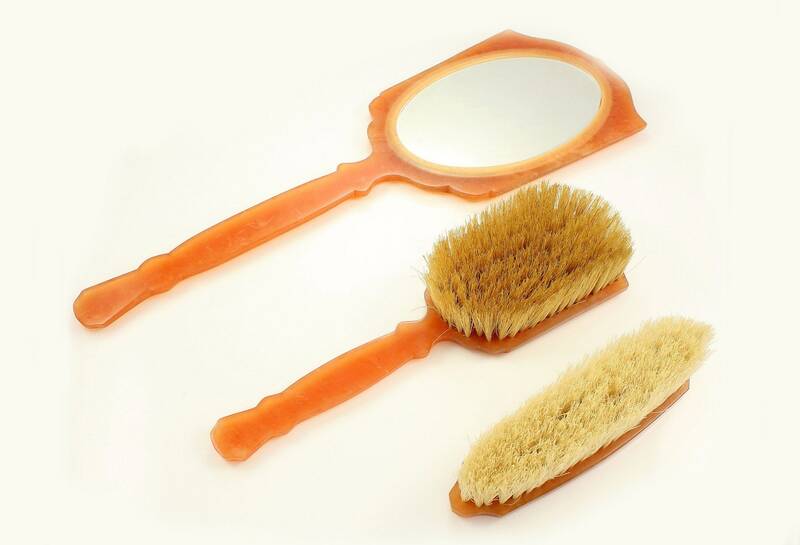 Brushes are set with natural bristles. This set is very dramatic and lovely, the perfect example of Art Deco style. In very good vintage condition, with no minor surface scuffs, as expected for age. CONDITION: In very good vintage condition, with minor surface scuffs, as expected for items nearly 100 years old.